We are delighted to have the support of the following companies and organisations for the Ocean 2 Ocean Challenge Australia this June. Snyder’s Antique Auto Parts has been the hobbyists chosen source for Model T and Model A Ford parts and accessories for over forty years, founded in the late 1950s as a manufacturer of small carburetor springs for Model T Fords by Don Snyder, Sr. As the small carburetor spring company grew, Snyder’s began to produce a wide variety miscellaneous springs that were used in the Model T Ford. This eventually led to the manufacturing of seat springs for not only the Model T and A Fords, but also later Fords up into the late 1940’s. The team now has the capability to manufacture custom seat springs for almost any make of vehicle. After establishing itself in the seat spring market, Synder’s began to distribute and manufacture a number of other parts for Model T and A Fords. Today, it specialises in a variety of auto parts including car parts and antique truck parts. 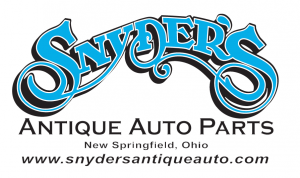 From the beginning, Snyder’s Antique Auto Parts’ main focus has been on providing quality products and the best customer service for hobby enthusiasts. 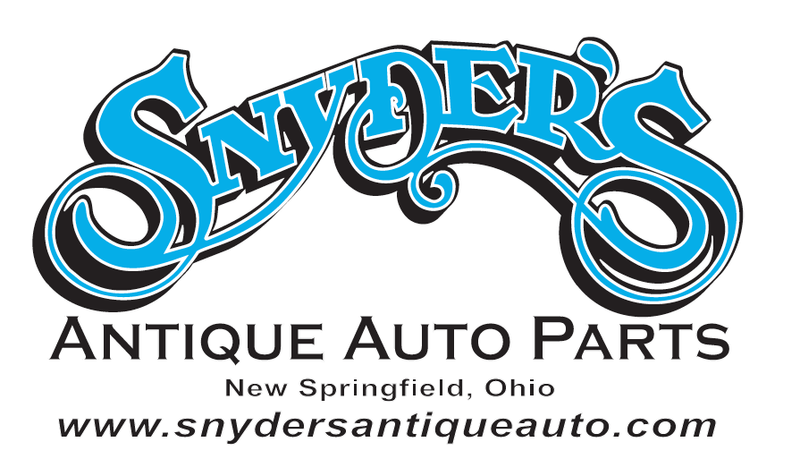 With this focus in mind, Snyder’s has become the largest manufacturer and distributor of Model T Ford parts and Model A Ford parts and accessories, with U.S. made parts being our specialty. Snyder’s currently has a staff of over 20 service-oriented employees to better serve your needs. From a business that started as a part time enterprise, over 30 years, thousands of tyres (tubes and wheels also) and millions of miles later, Antique Tyres has established itself as the largest supplier of whitewall, redwall, hot rod, classic, vintage & veteran tyres in the southern hemisphere. Family owned and with two generations of the McKinnon family in the business, Antique Tyres will always be here to help. The ability to create new solutions to problems, and a commitment to technology, service and quality, has made DAVIES CRAIG one of Australia’s most successful exporters, providing high airflow automotive cooling fans & electric water pumps to markets around the world. In 1971, belt-driven fans were the only option for automotive cooling. Searching for a more efficient method, Australian engineers Daryl Davies and Bill Craig created the Thermatic Fan. DAVIES CRAIG was formed to manufacture the new electric fans, and has since developed a comprehensive range, covering most makes of vehicle. A DAVIES CRAIG innovation, electric cooling has now become a standard feature on most of the world’s new cars. Austen Ritchie Builder Pty Ltd is a multi-award winning, family owned Gold Coast based Building Company that prides itself on the ability to construct a home with focus on attention to detail and quality workmanship. The superior level of construction comes from their hands on approach and high standards. From inception to completion your home is the priority.